The idea originated when we were at Disney World two years ago. 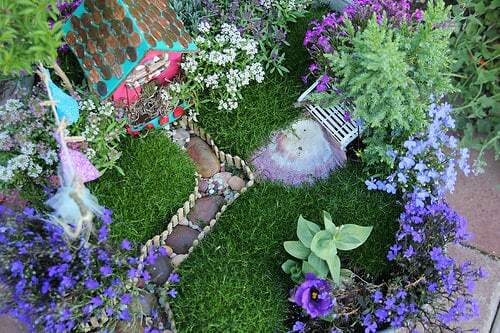 There is a Tinkerbell-themed garden area that makes an appearance during the Flower Show, and it features tons and tons of fairy houses. 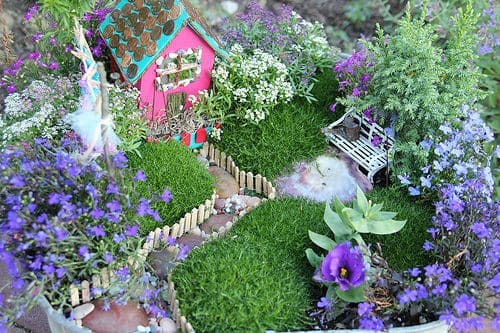 Alexis saw the fairy houses and declared that she wanted one. 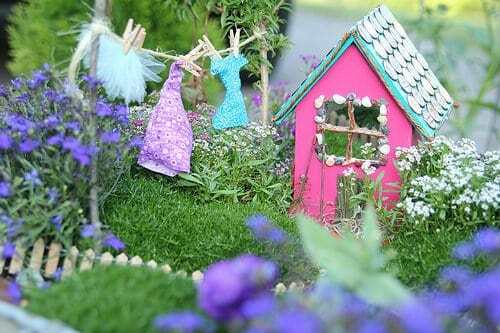 The house is just a plain old wood birdhouse. 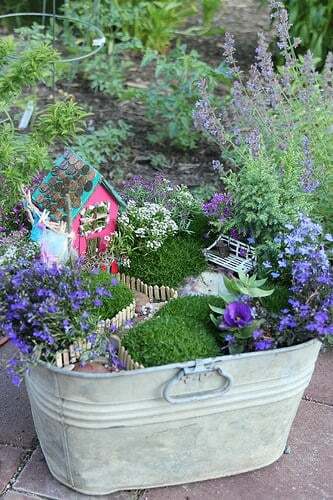 The complete story of this little marvelous garden here.